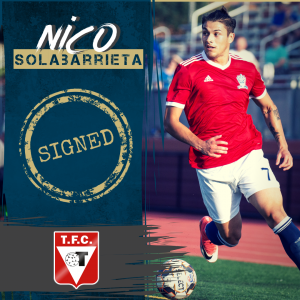 Tacuarembó, Uruguay (March 30, 2019) – United midfielder Nico Solabarrieta has signed a deal with Tacuarembó FC for the 2019 season, beginning his professional soccer career in Uruguay’s second division. With his signing, Solabarrieta becomes the 108th United alumni since 2010 to sign with a professional club after playing in Reading. 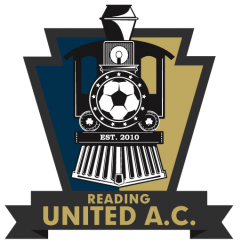 Solabarrieta spent portions of the 2016 and 2018 seasons with Reading United, with all of his time coming this past season. Nico saw time in five games, scoring two goals and adding one assist in 313 minutes of play. Both of his goals in a 2-0 road victory against FA Euro on June 6th. His 2017 season was spent with FC Tucson, where he played in eight games, notching two assists. The Chilean midfielder finished his decorated collegiate career with the University of Albany in style, collecting ten goals and five assists during his senior season en route to being named to the America East First Team. Solabarrieta finished atop the Great Danes career leaderboard in assists (20) and tied for second in points (70).